We provide an in-depth look at how our markets are performing on a quarterly basis. 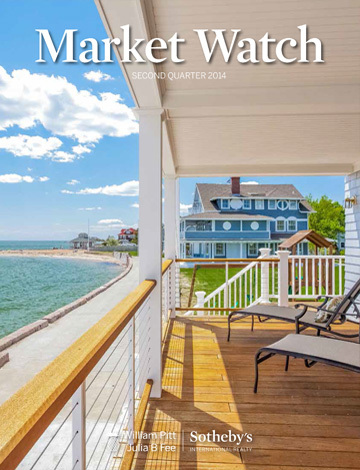 Our quarterly Market Watch reports offer a comprehensive picture of the residential real estate markets we serve in Connecticut, Westchester County, N.Y., and the Berkshires, Mass. 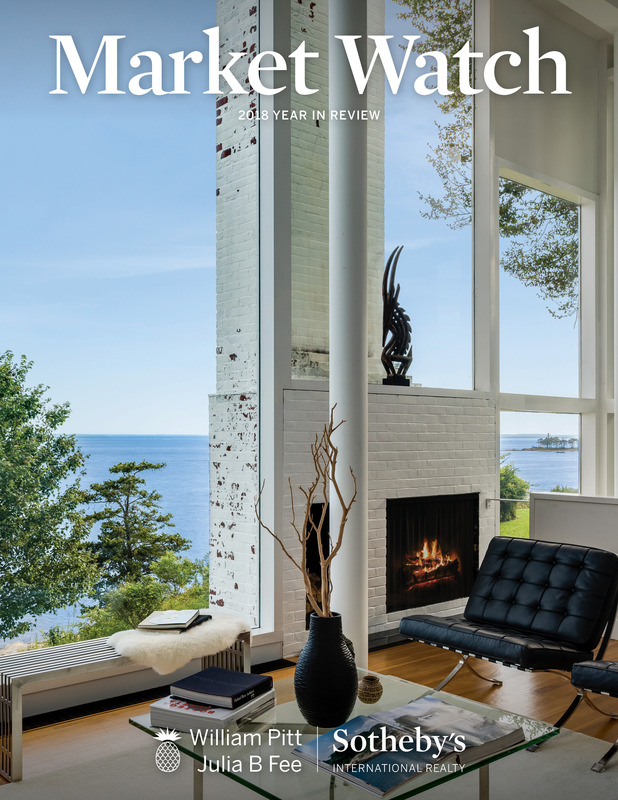 These reports serve as an invaluable resource for consumers, real estate professionals, financial institutions, the media, and anyone else interested in the housing market. The first quarter of 2019 saw a general decline in real estate sales across most of the markets we serve, similar to the phenomenon we observed at this time last year. The picture varied across regions and price points. Yet the key economic indicators that continually serve as our guidepost, including low unemployment, historically low interest rates, a healthy stock market and elevated consumer confidence, provide reason for optimism as we head into the second quarter. 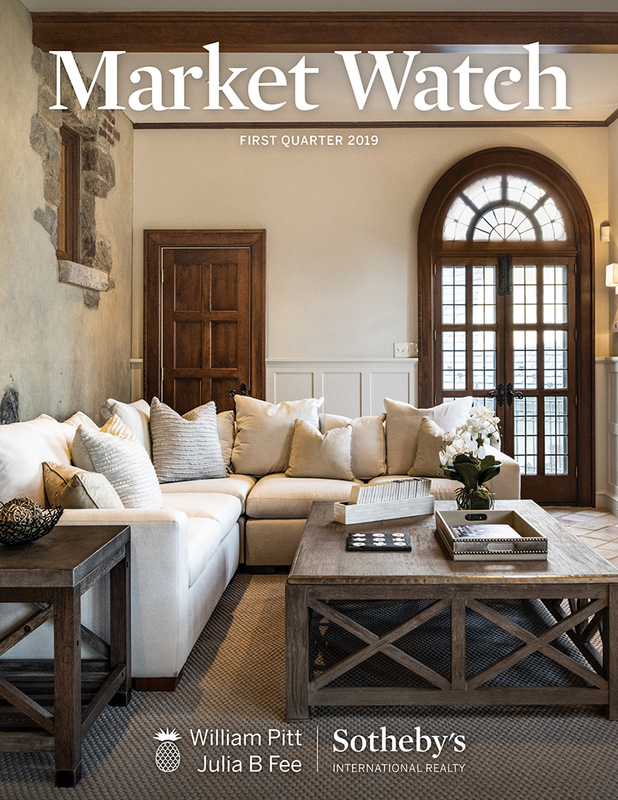 Please read our 2019 First Quarter Market Watch for our full analysis. 2018 began with virtually every market our company serves experiencing sales decreases in single family home sales versus the first quarter the prior year, a notable trend considering it had been several years since we observed a similar phenomenon. Yet the year painted a more positive picture by the time it reached its conclusion. Many of our markets climbed ahead of 2017 by year’s end, while others trailed only slightly behind. When declines occurred, they were modest. 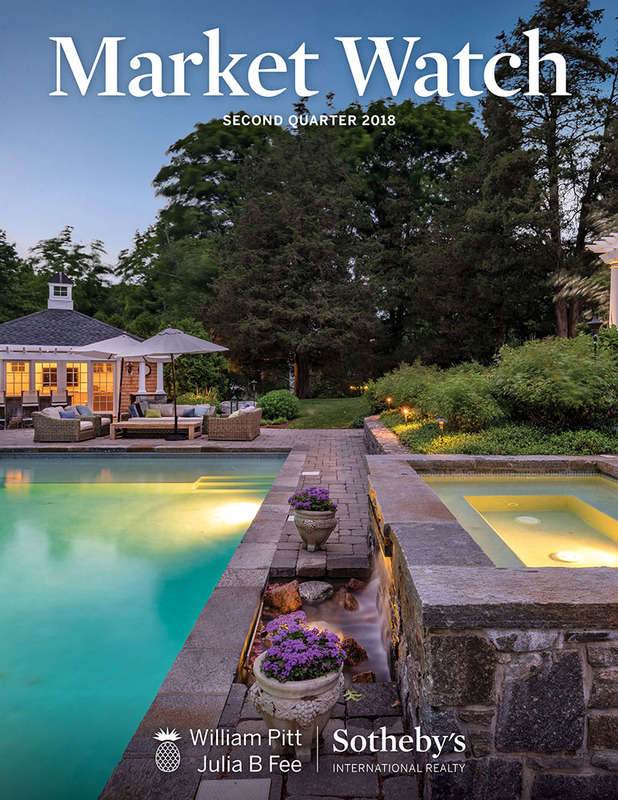 Our Westchester and Fairfield County markets saw modest decreases in unit sales and dollar volume, while the Connecticut Shoreline saw minimal decreases in unit sales even as dollar volume improved. 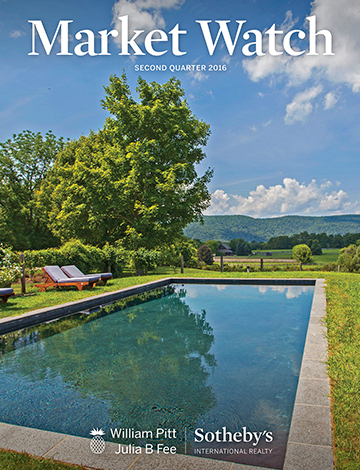 Litchfield and Berkshire Counties experienced sales growth and the Farmington Valley was flat with steady sales. Please read our 2018 Year in Review Market Watch for our full analysis. 2018 has been an unusual year for our housing markets. We began the year with every market we serve experiencing small decreases in either unit sales or dollar volume, or both, versus the first quarter of 2017. At that time we attributed this pause in the marketplace to uncertainty surrounding the tax reform bill that passed in late 2017. Then, in the second quarter the story began to change: certain areas started to catch up to or even exceed the first half of 2017, while others remained behind. The third quarter found us trending even further in a positive direction. Westchester and Fairfield Counties, while still behind 2017, appear to be closing the gap, even as the Shoreline along with Litchfield and Berkshire Counties climbed ahead of the prior year, and the Farmington Valley stood nearly flat. Please read our 2018 Third Quarter Market Watch for our full analysis. While the first quarter of 2018 was consistently down in unit sales and dollar volume compared to the same period the prior year, the second was more notable for its inconsistency from market to market. Certain areas remain behind the first half of 2017, while others are catching up or even exceeding the prior year. The drop off in unit sales in many markets was more a result of low inventory than low demand, and in several areas the high end is showing promising activity. Properties under contract overall, though not in every region, are increasing year over year, suggesting many markets will potentially recover some lost ground by year’s end. Please read our 2018 Second Quarter Market Watch for a more detailed analysis. 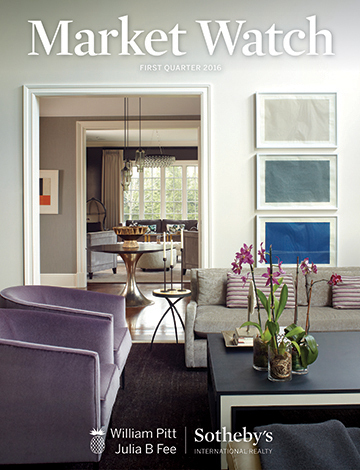 The new year started with small but consistent sales declines versus the first quarter last year. 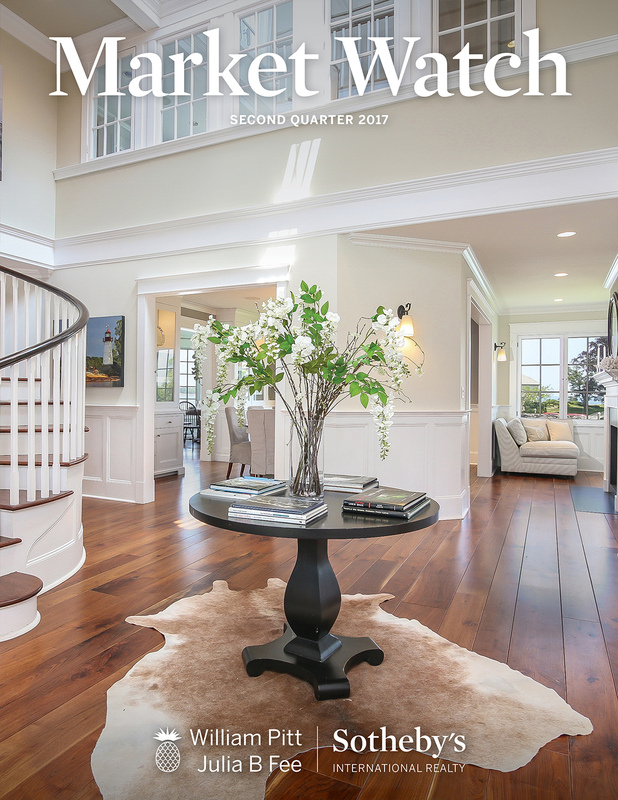 While the passage of the new tax bill at the end of 2017 may have helped to prompt a pause in buyer activity during the fourth quarter, reflected in the lower rate of closings in the first quarter, economic indicators including consumer confidence, GDP, unemployment, job growth, interest rates and the stock market all point to an ongoing strong foundation for the real estate market. 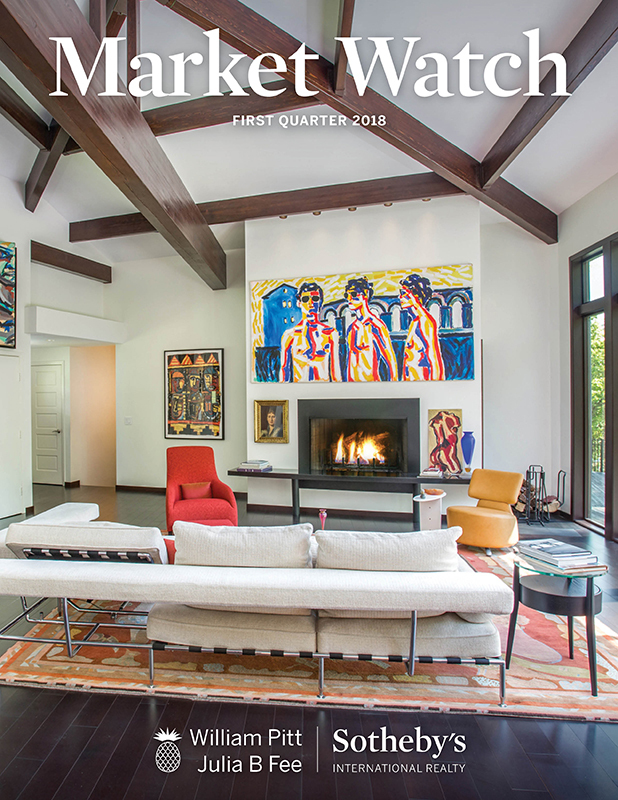 Please read our 2018 First Quarter Market Watch for a more detailed analysis, and to find out about your community. Virtually every market we cover finished the year with dollar volume and units sold either ahead of or even with 2016, itself a strong year in sales that observed significant increases over the year prior. Although there may be unanswered questions surrounding the new tax bill and its potential impact on the real estate market, the tried and true economic indicators that have always served as our compass are still going strong and leave us feeling optimistic about what lies ahead. 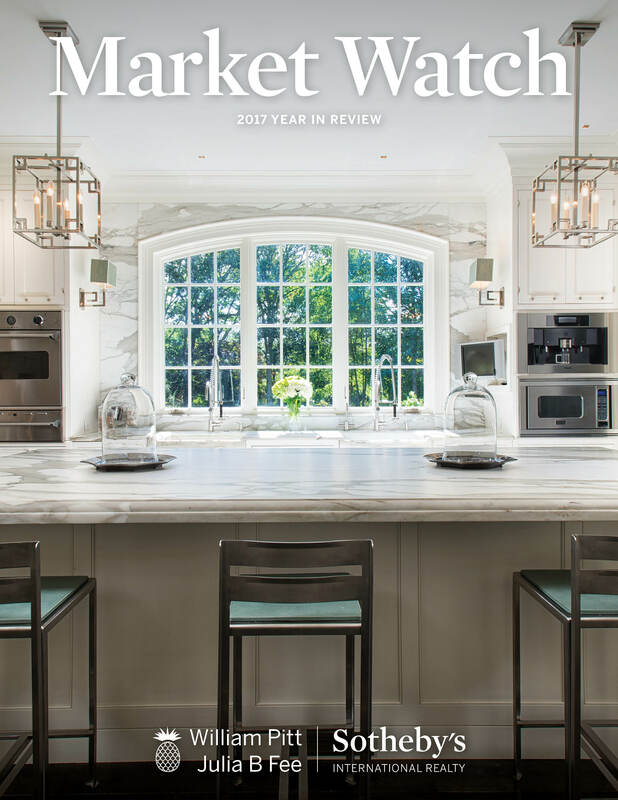 Please read our Annual 2017 Market Watch for a more detailed analysis, and to find out about your community. The third quarter saw most of our markets either holding steady or trending ahead compared to the same time last year, with few exceptions. Overall, the areas we serve remain healthy with robust sales activity, leaving us well positioned for a strong finish for the year as we head into the fourth quarter. The fundamentals of the economy, which we refer to as our “True North,” remain strong and point to continued momentum in the housing market. Please read our Third Quarter 2017 Market Watch for a more detailed analysis. 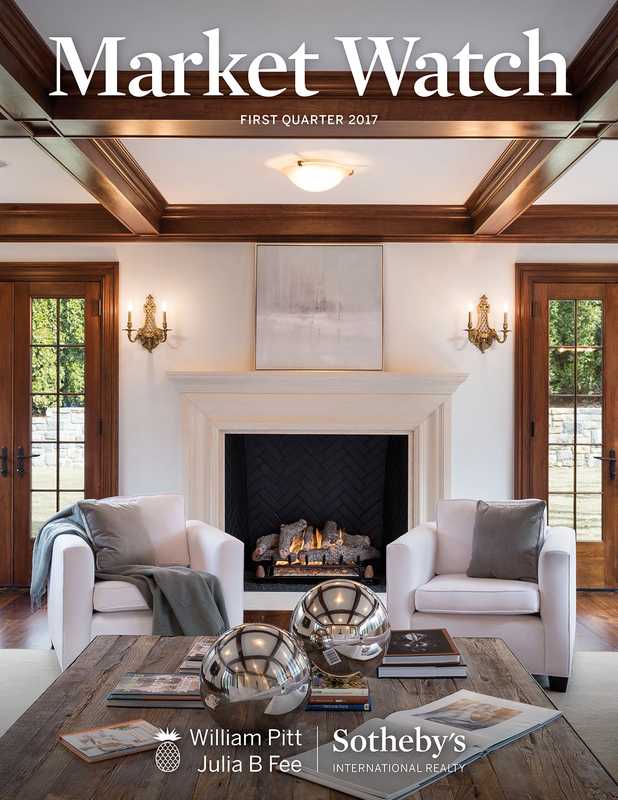 Our market areas entered the second quarter with a solid head of steam built on a solid finish to the fourth quarter of 2016 and a strong first quarter in 2017. For the year-to-date, the real estate markets are up in the communities we serve, and all the economic signs that affect real estate are holding steady or improving. Please read our Second Quarter 2017 Market Watch for a more detailed analysis, and to find out about your community. Our housing markets had an excellent first quarter, with most areas posting increases in both sales volume and unit sales compared to the same period last year. Across the board buyers are entering the marketplace in droves, many prompted by the Federal Reserve’s recent rate hikes and projected further increases for this year. With the markets so active and the prime real estate season just around the corner, we are confident the momentum will persist. Please read our First Quarter 2017 Market Watch for a more detailed analysis. 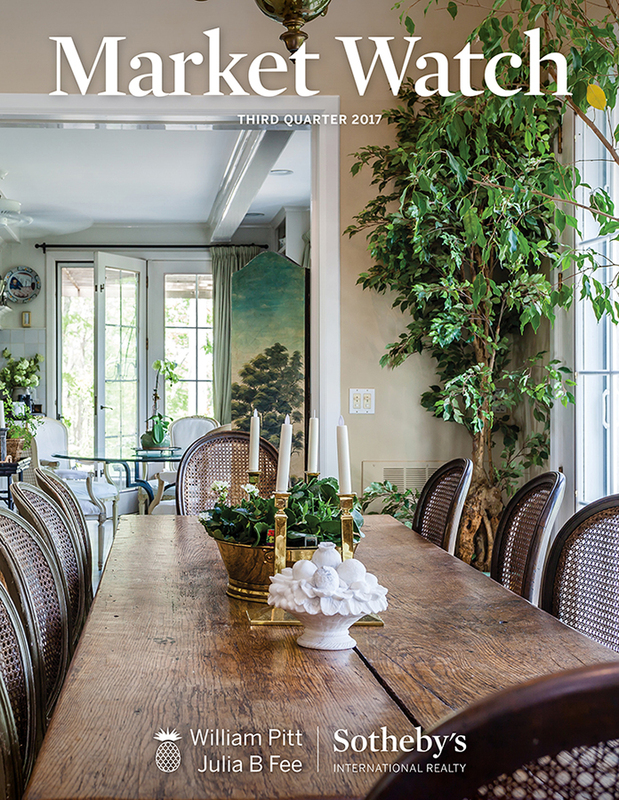 2016 was another exceptional year for real estate in our market areas, with the majority experiencing healthy gains in units and sales volume year over year. The promising data is mirrored on the national scene, and the Federal Reserve’s December rate hike, a signal of faith in the economy, has created a sense of urgency, with buyers jumping off the sidelines and into the market in droves—an indication that 2017 is already off to a strong start. 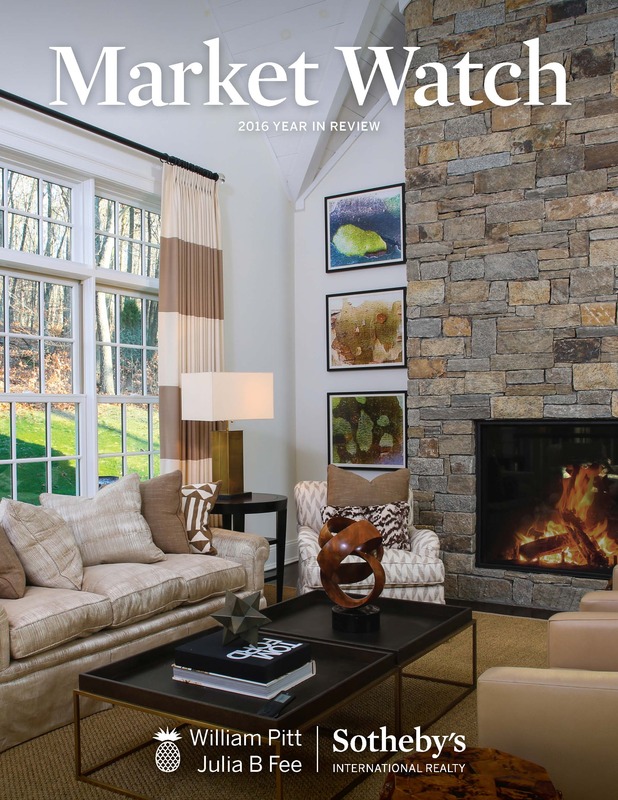 Please read our Annual 2016 Market Watch for a more detailed analysis, and to find out about your community. After a very robust first six months, with unit sales and dollar volume higher in the majority of the markets we serve, the third quarter saw our markets realigning more closely with how they performed last year. While we may experience fluctuations, healthy economic indicators from high consumer confidence to ongoing low mortgage rates suggest that the market should remain an active place for some time to come. 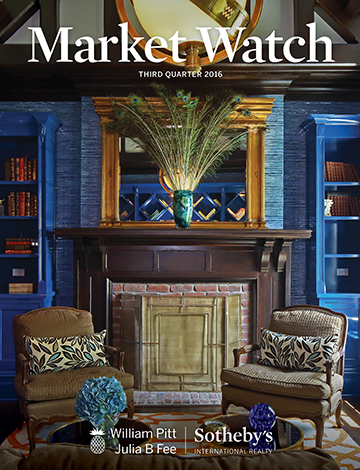 Since every market is different, please read our Third Quarter 2016 Market Watch to find out about your community. 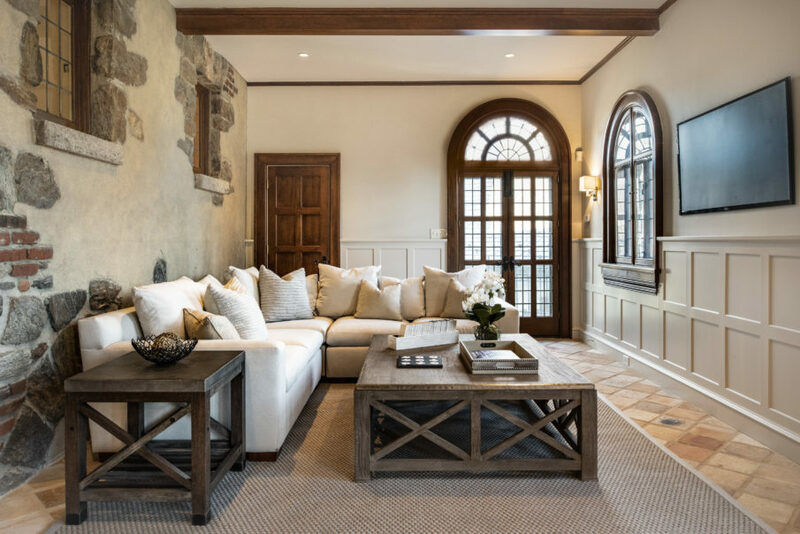 After a very robust first quarter, the second quarter held steady so that the first half of the year closed out with unit sales significantly up compared to the first half of 2015 in the majority of our markets, and sales volume higher in most areas as well. With the overall picture one of good health, we remain bullish that 2016 will prove another strong year in sales. 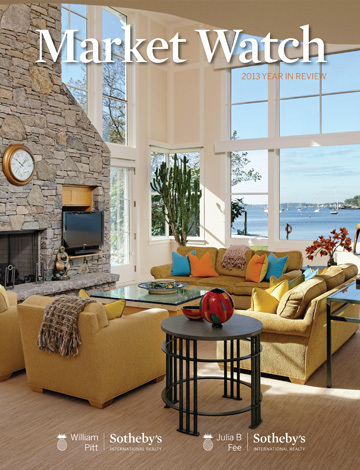 Since every market is different, please read our Second Quarter 2016 Market Watch to find out about your community. Our housing markets have been an active place for some time now, and that trend continued unabated throughout the first quarter of 2016. Unit sales are up year over year in every area we serve—dramatically up, in some cases—and we have every reason to believe the momentum will persist throughout the second quarter and the remainder of the year. 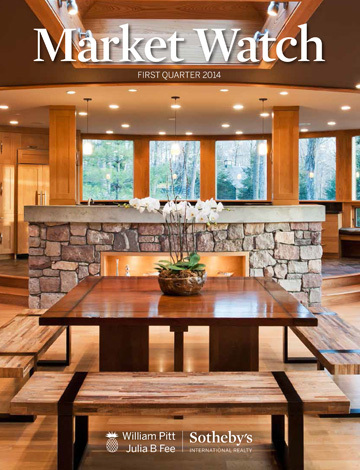 Since every market is different, please read our First Quarter 2016 Market Watch to find out about your community. Strong overall annual sales in our local housing markets in 2015 led us to end the year on a high note. Single family home sales achieved their highest levels since 2007 in most areas, and with the improving economy and low interest rates, we expect to continue to see growth across the broad home buying spectrum throughout 2016. 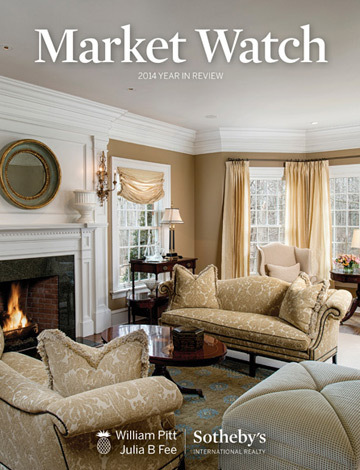 Since every market is different, please read our Annual 2015 Market Watch to find out about your community. 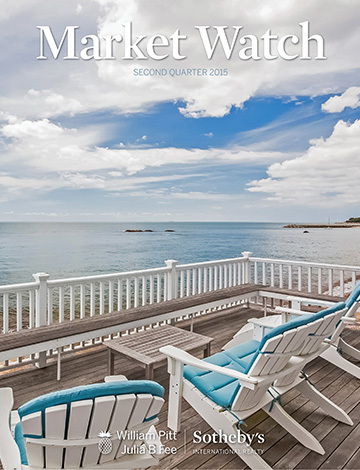 In the third quarter of 2015, our local housing markets experienced significantly higher sales than the same period a year ago, with some areas mirroring the height of the market in 2004 and 2005. Consumer confidence in the economy as a whole continues to grow and help propel our markets, which are functioning efficiently with sustained demand and well-qualified buyers. 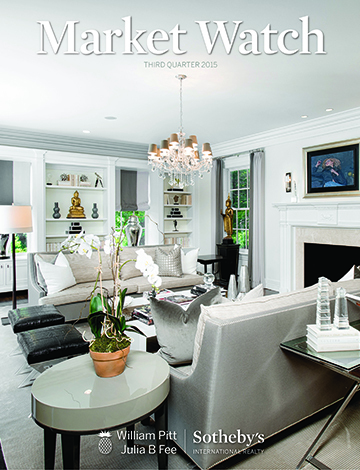 Since every market is different, please read our Third Quarter 2015 Market Watch to find out about your community. At the mid-point of 2015 our local real estate markets are performing well with strong, sustainable sales activity, good foot traffic and in most communities, transaction volume exceeding 2014 levels. We believe that year-to-date sales growth represents a sustainable trajectory, and that sales will continue to strengthen through the rest of the year, building on growing consumer optimism. Buyers and sellers alike were active in our local housing markets during the first quarter of 2015, with many areas experiencing their highest sales levels in multiple years. 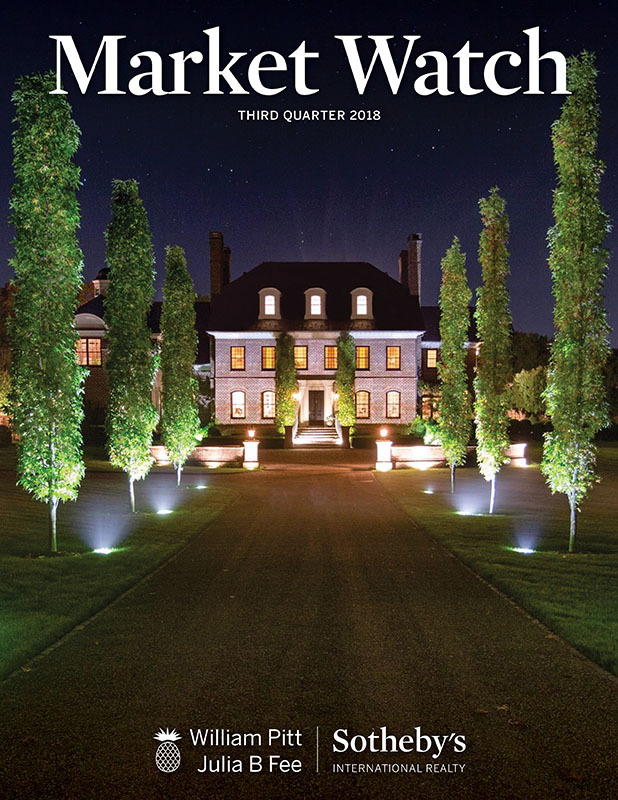 Overall, our markets are in an excellent position to move forward into the prime selling season, with first quarter sales results signaling a strong second quarter and rest of the year. The pace of the housing recovery picked up speed in 2013, and by year’s end activity spread to encompass previously quiet segments of the market including the luxury, new construction and even raw land segments. Condominiums and co-ops experienced particularly strong volume growth, breaking the trend of previous years and satisfying pent-up demand. The housing market appears to be stronger and more sustainable than it has for five years, and we believe that it will only continue to improve in 2014. 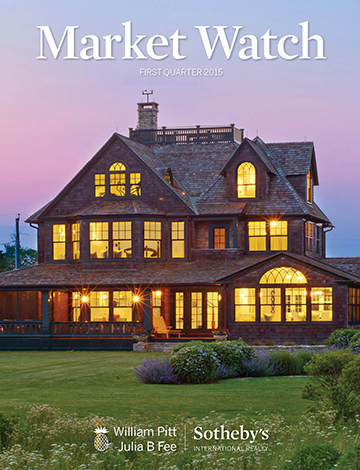 Home sales in the first quarter of 2014 built upon the strong 2013 annual sales results. Of particular note was the heightened demand for properties in the mid to upper price ranges as well as new construction. 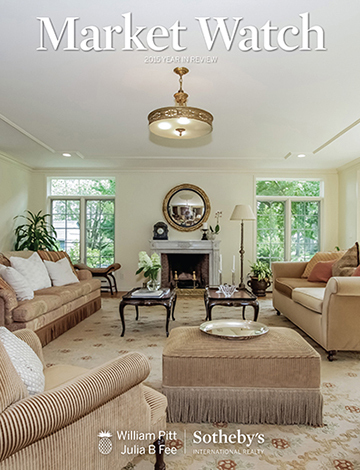 The ultra-luxury segment, defined as properties at the top of the market in terms of price, was relatively quiet. We believe this was due in large part to the harsh winter’s sub-optimal showing conditions, which impacted the introduction of new inventory. After experiencing significant improvement for the past two years, the housing market has at last leveled off with unit and dollar sales year to date on track with the same period last year in most markets. We believe that the current period of more moderated yet sustainable growth is a healthy one, and we are optimistic that our housing markets will remain vibrant throughout the rest of the year. 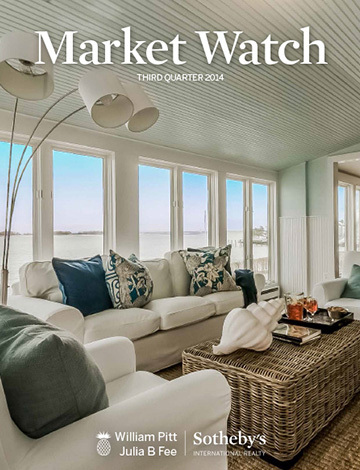 Please read the Second Quarter 2014 Market Watch for our full report. For both the quarter and the year we are seeing transaction volume very similar to 2013 levels and far ahead of 2012 and 2011. The market is stable and the fundamentals are in place to end the year approximately even with 2013 on a unit basis and slightly higher on a dollar basis due to the strengthening upper end. Holding onto the gains of last year and building a firm foundation to grow both unit and dollar volume in 2015 is our goal for the remainder of the year. 2014 was the year we secured the robust gains of 2013, positioning us for strong future growth. Our metro New York markets concluded the year with unit sales very close to 2013’s vibrant levels, making it the second best year for home sales in the past seven. All indicators point to 2015 being an excellent year of continued forward movement.